Wellie has not been hunting recently. He recently ripped off a toenail jumping out of the truck in our driveway, and has been out of commission as it heals. Of course, he and Tyler have brought home many birds over the last few years. Wellie is versatile–he hunts upland game, and waterfowl. He also is an integral part of our family. Breeder’s Note: Carrie and Tyler wanted their Weim’s tail undocked. They like the way it looks; and the fact the docking was not necessary. The American breed standard calls for the docked tail; in some countries, it is illegal to dock tails. OwyheeStar docks tails as per the breed standard. There are a couple of exceptions: 1. The Longhair is never docked. 2. A person can make arrangements in advance to have their pup’s tail left intact. 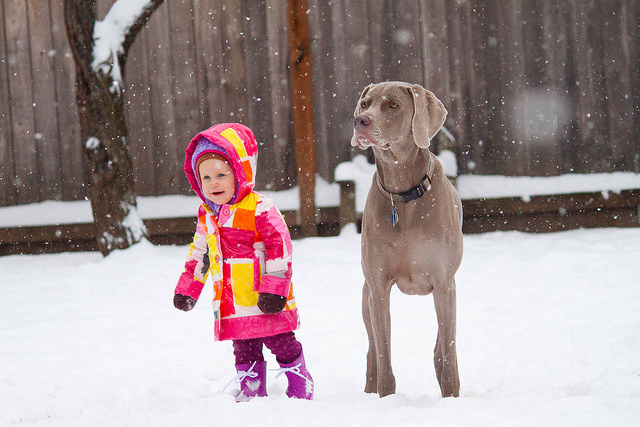 Posted on April 17, 2014, in Torrie X Zee and tagged Gray Ghost, The Weimaraner in Oregon, Undocked Tail, undocked Weimaraner, Versatile Hunting Weimaraner, Wellie. Bookmark the permalink. 4 Comments.